Although most people consider Singapore as the “fine city” because of its strict implementation of laws governing its citizens, it’s actually a fun place for experiencing world class urban lifestyle and tourism – you will be surprised on how Singapore indulges its guests with world renowned architectural designs, exquisite oriental cuisine, and captivating spectacle of both art and culture. Another beauty of this island city-state, could be attributed to its lively economic activity wherein investors and tourists alike are always welcomed with light-hearted smiles as they transact their businesses and explore around the city. Accommodation here is also as delightful as always – the city is filled with outstanding hotels and resorts bearing exceptional service and luxurious functions and facilities. 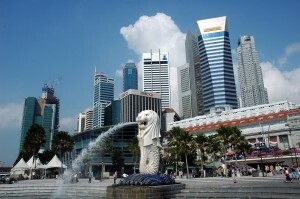 First thing’s first, your visit to Singapore will never be complete without a quick stroll along the Central Business District near Fullerton Square where the city’s trademark is located – the statue of the Merlion, the stone figure of a fierce lion with the body and tail of a fish, that symbolizes the city’s humble beginnings as a fishing village once known as Temasek. An entire Park was raised to celebrate the mythical beast that serves as Singapore’s majestic icon and trademark, the Merlion Park. 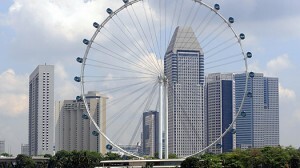 Next stop, the Singapore Flyer – an observational wheel that will take you 165 meters above the ground and is actually higher than Great Britain’s London eye. A flight from this towering architectural piece will leave you breathless as you view the city’s entirety especially at night when everything seems to glimmer with city lights and a few fireworks. The ride also includes an interactive presentation, Journey of dreams – that showcases the development of Singapore from a simple fishing village into a fully developed island city-state. After a day of frolicking and exploring, a good rest may ensure another day of fun and adventure – fortunately, Singapore is also teeming with world class hotels and accommodation guaranteeing your stay a fun and unforgettable one.